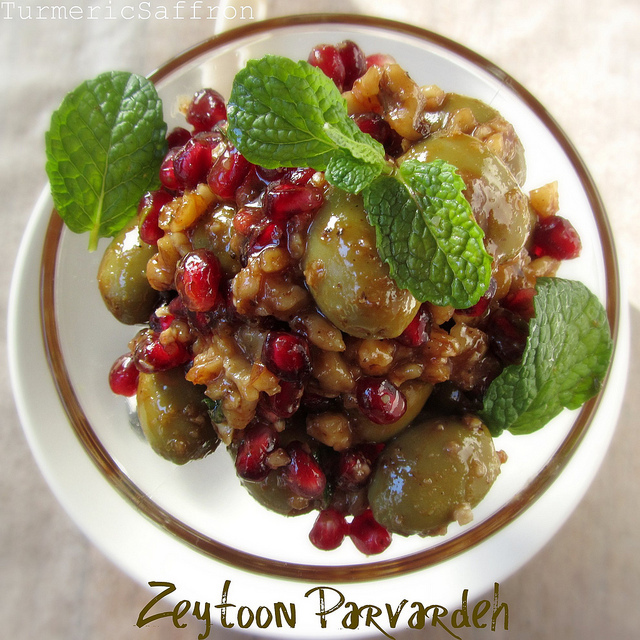 شب یلدا Shab-e yalda or شب چله shab-e chelleh (winter solstice) is here. The Iranian celebration of yalda (December 20-21) starts on the eve of the last sunset of the last day of autumn. 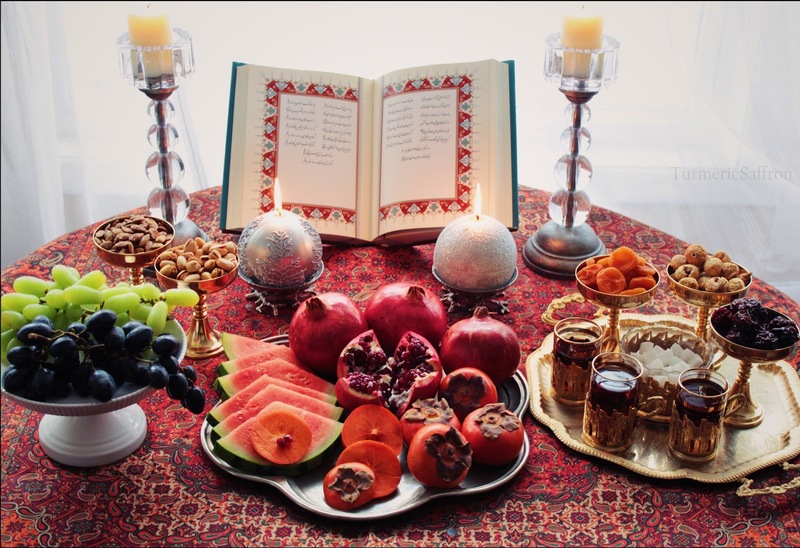 The yalda festivities proceed into the night and it officially ends at the sight of the first sunrise of the first day of winter. 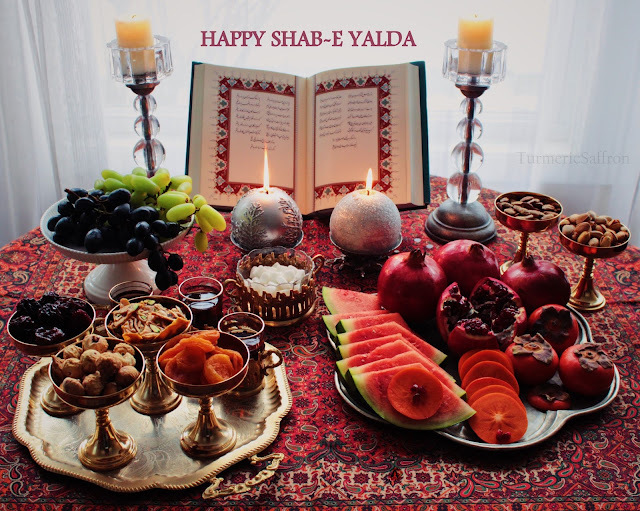 Shab-e yalda is the longest night of the year and it is followed by the shortest day of the year. Then the days start to get longer which marks the victory of light over darkness and the birth of Mithra (the Sun God) according to ancient Persian tradition dating back thousands of years. Today, Yalda celebration centers around family gatherings, Hafez khani (reading the poetry by Hafez of Shiraz), storytelling, music, and eating fruits, nuts and sweets. Growing up, celebrating shab-e yalda wasn't about preparing an elaborate meal. 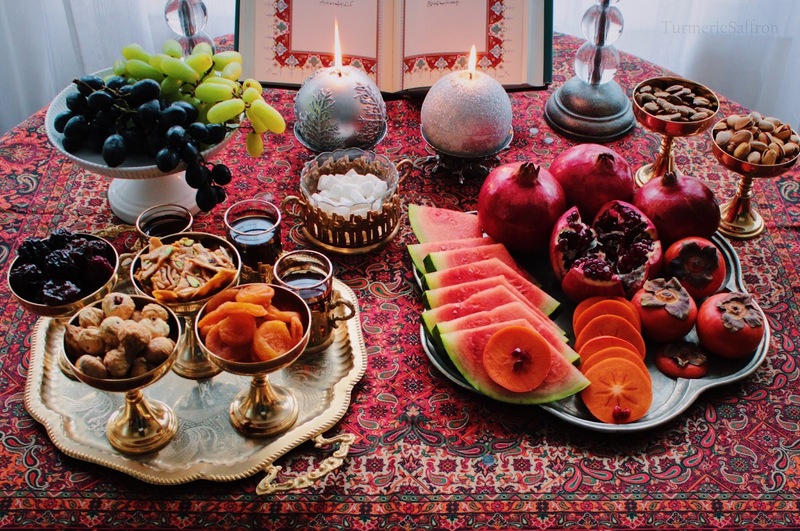 My mother always had the yalda spread on our dining room table and on it was winter watermelon, pomegranate, پسته pesteh (pistachios), بادام badam (almonds), برگه زردآلو bargeh zard-aloo (dried apricot), انجیر anjir (figs), and تخمه tokhmeh (seeds). 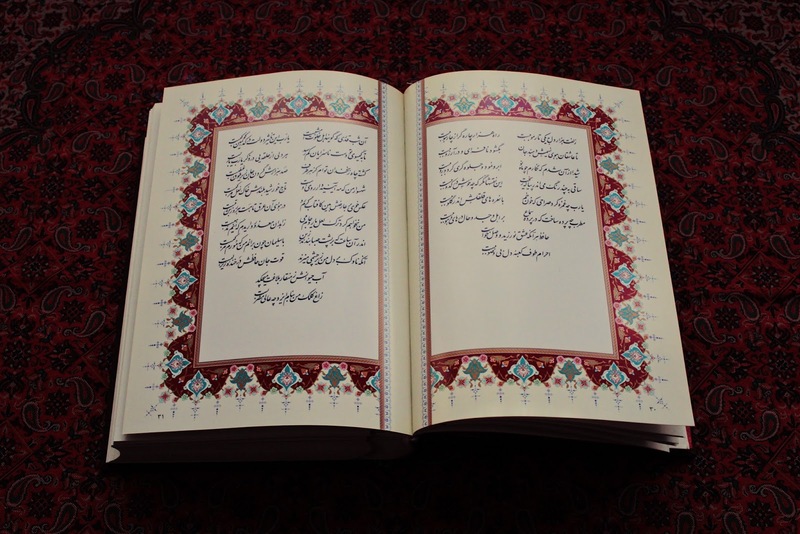 Another Yalda tradition is reading Hafez which was a daily ritual in our home. 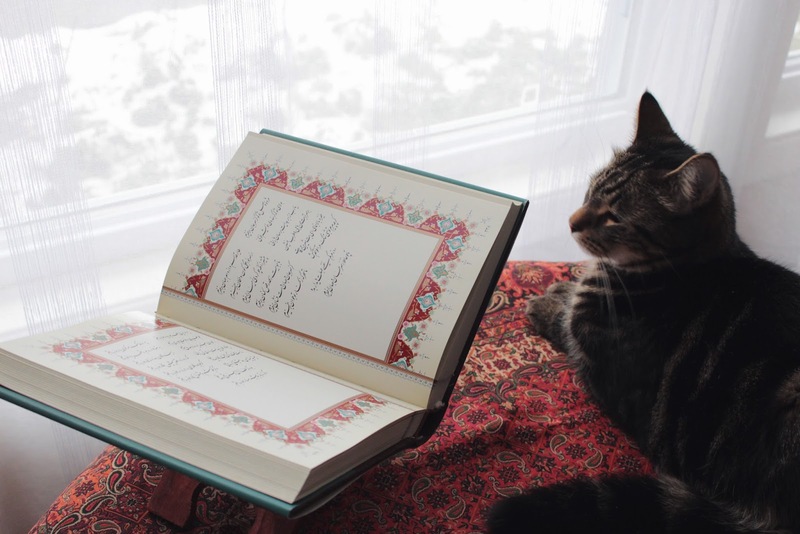 This was my mother's way of passing on tradition and teaching us the importance of our culture.